As we head into the final quarter of the year, it’s a good time to look at procedures for verifying insurance benefits for the new year to come. We also know that for every one person out there comfortable with verifying benefits, there are two new people just learning the ropes. Two new states passed insurance mandates this year (way to go Idaho and North Dakota!). Lots of new ABA agencies are joining the field, and other companies are growing large enough to hire additional administrative staff. All of this growth is great to see in our industry, but it also means that we need to remember to slow down and keep teaching the basics to all our new members. If you are new to understanding benefits, it’s critical to know that NOT ALL insurance policies are subject to the state mandates. The mandates only apply to SOME policies. Therefore, you should always verify an insurance policy first to see if ABA is even a covered benefit. Then, you should find out additional details on the coverage to gain authorization and discuss costs with families. Create a standard form that has all the information needed to ensure you can verify benefits and track information for all clients. (Handouts available below) Be sure your form is easy to understand and complete. Add sections that prompt parents to enter secondary insurance information and let you know if any policies are Medicaid. Require that parents complete the form in full and sign the form – do not let them short cut this information. Require that parents turn in copies of both the front AND BACK of the insurance card. Include a section on the form to ask if the child has an autism diagnosis – and prompt parents to include diagnosis date and diagnosing provider. Being well versed in state laws and Medicaid rules will not only keep you in compliance with these guidelines but will also help you identify any red flags if given incorrect information by an insurance representative. Confirming a child’s Autism Spectrum Disorder diagnosis is a critical step for your intake process when working with commercial insurance policies. Most of the state mandates across the county that require insurance companies to cover ABA therapy only require coverage for children WITH an ASD diagnosis. If the child does not yet have a diagnosis or has a different diagnosis, such as Fragile X Syndrome, insurance does not have to cover ABA therapy. It is important to ask if the plan is full-funded (see description below) and if it is, to ask in which state the plan is regulated. The policy will follow the mandate of the state in which it is regulated. If a family has insurance through a large employer that is headquartered in a different state than you, the policy will fall under a that state’s law. For example, Coca-Cola has employees across the whole country, but the insurance for employees is regulated in Georgia. Therefore, all the policies will follow the Georgia insurance mandate for ABA coverage. Also note that Medicaid rules will be different than the state insurance mandate. Medicaid is a separate program in every state and is regulated by a specific state department. Some states have created rules under Medicaid that do NOT require a child to have an ASD diagnosis. For example, in Colorado a child with Rhett’s syndrome seeking ABA therapy would not be covered under commercial insurance plan but would be covered under Medicaid. **It is important that you require parents to turn in a diagnostic report from the original diagnosing provider. Otherwise, you are putting yourself at risk to not receive reimbursement from insurance if you are treating a child that does not have a proof of diagnosis. Be very careful to not accept “educational” diagnoses provided within a school setting where testing was not performed by a doctoral level, licensed provider acceptable under the insurance laws in your state. When calling insurance companies to verify ABA benefits, use a checklist or fill out a form during the call as you go. This way, you will always ask the same questions and not skip any important information. Following a routine on your calls will also help you identify any red flags during the call. Talking to the behavioral health department. While a few insurance companies do still put ABA benefits under the medical or mental health umbrella, most keep ABA benefits under behavioral health. Clearly asking for ABA therapy including both the full name, Applied Behavior Analysis, and the abbreviation. Asking that the representative read all the exclusions on the policy for ABA therapy. Asking if the codes you use with the insurance company are valid – and valid when used with the ICD-10 diagnosis code for ASD (F84.0). Always asking if the policy has any limits on the benefit – age, dollar, or session caps. Ask if the policy is fully-funded or self-funded. If in doubt after the call, make a second call and confirm that the answers match! For additional details on checking benefits, see our Benefit Call Checklist available below. As mentioned above, coverage for ABA therapy varies based on the type of plan: Medicaid, State Employees, CHP+, Federal Employees, Tricare, Full-Funded Commercial Insurance, or Self-Funded (ERISA) Commercial Insurance. You should research these different types of plans and how ABA is handled under each one in your state. Fully-funded Insurance plans: Group employer plans that must follow state mandates are often called fully-funded policies. The state mandates passed in 48 states (all states except Wyoming and Tennessee) primarily apply to fully-funded policies – other types of policies, such as individual or small-group, may or may not be included in the state mandate. Self-funded Insurance plans: A “self-funded” or “ERISA” policy is not subject to state laws. Therefore, if a parent has a policy from his/her employer that is self-funded, then ABA may not be included in the benefits. In this case, employers have to actively opt to add in ABA benefits. However, the policy will never include ABA coverage because of the state mandate. It is critical to always call on benefits in case the policy is a self-funded plan. Medicaid, CHP+, and State Employees: Coverage of ABA on these policies varies in each state. Some states have ABA included and others do not. Federal Employees: Coverage for ABA became available under the Federal Employee Health Benefits in 2018. A growing number of children are covered under more than one insurance policy. Coordination of benefits refers to the rules that clarify which insurance policy has to act as the primary coverage and which acts as the secondary. *As the provider, you will bill the primary insurance first, and then bill to the secondary. If you are not in network with the primary insurance, you still MUST bill to the primary before the secondary. You cannot skip the primary because you are out of network. **However, if you are not in network with the secondary insurance, you do not have to accept the secondary insurance. You can bill the primary and then the parents can choose to bill any patient responsibility to the secondary. Since you have billed the primary with which you are in network, then you can tell families that you are not obligated to bill the secondary. Medicaid is always the payer of last resort, behind any commercial policy and Tricare. Tricare is always secondary to any commercial insurance. A child-only policy is primary in most states. Since any plan where the individual is the actual policy holder will be primary, this applies to child-only policies because the child is the policy holder. If both parents hold insurance from their employers, then the policy held by the parent whose birthday falls first in the calendar year is usually the primary policy. Another good practice when verifying benefits is asking for the benefit year. The benefit year is the 12-month period that the policy follows before resetting the annual deductible. Many policies reset on January 1st; however, some will reset on other dates such as July 1st. Tracking the renewal date on the insurance policies for your clients will allow you to verify benefits each time the policies reset. Parents will often forget to tell providers that a policy has changed, or they may not even realize that changes have been made within an employer offered policy. It is best practice as the provider to recheck benefits every year for clients currently in services that pass their benefit year renewal date. Cost shares: The deductible and co-pay or co-insurance amounts that were quoted by the insurance company for ABA therapy. Reiterate that the FAMILY will pay those costs to you, the provider. Show them an example of the invoice they will receive. Let the family know how they can pay their bill – online, debit or credit, or by check. And, how often they will receive invoices. Point out the amount that will be the out of pocket maximum for the family. Financial responsibility can be a much larger topic to tackle. While speaking with families is different from the benefits check done with the insurance company, the two go hand in hand. Check out our next blog and recorded webinar on patient responsibility. 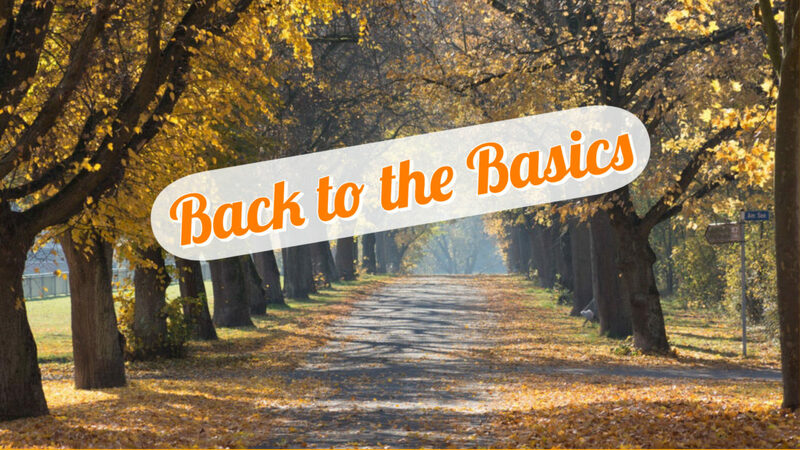 Click to access this Back to Basics webinar for 30 days.